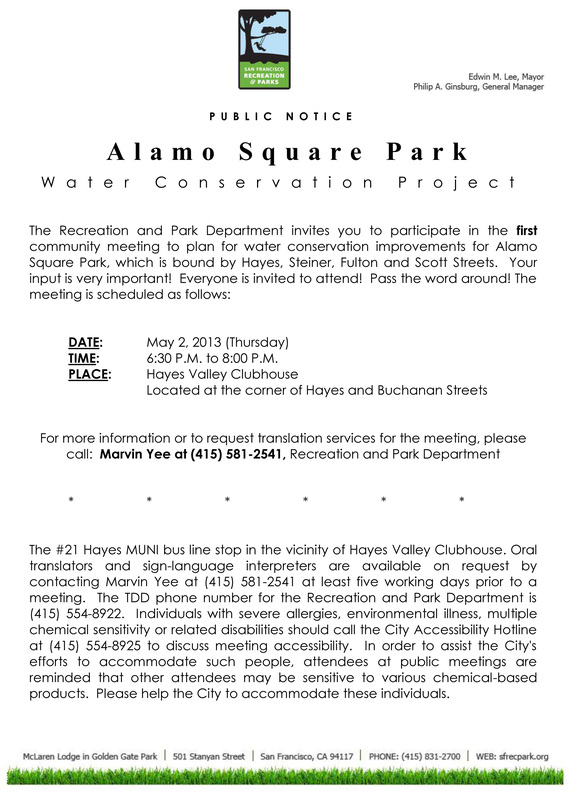 The Recreation and Park Department invites you to participate in the first community meeting to plan for water conservation improvements for Alamo Square Park. Your input is very important! Everyone is invited to attend! The Mill hosts an outreach meeting for planned Parklet Neighborhood Ambassadors needed!